My 2016 effort with SB 1463 gets a mention in the OC Register piece below (see MOORLACH UPDATE — SB 1463 Epilogue — October 4, 2018). My 2018 effort with SB 1463, a similar bill with the same number (intentionally), morphed into a strategy inclusion in SB 901 (see MOORLACH UPDATE — SB 1463 Epilogue — October 4, 2018). 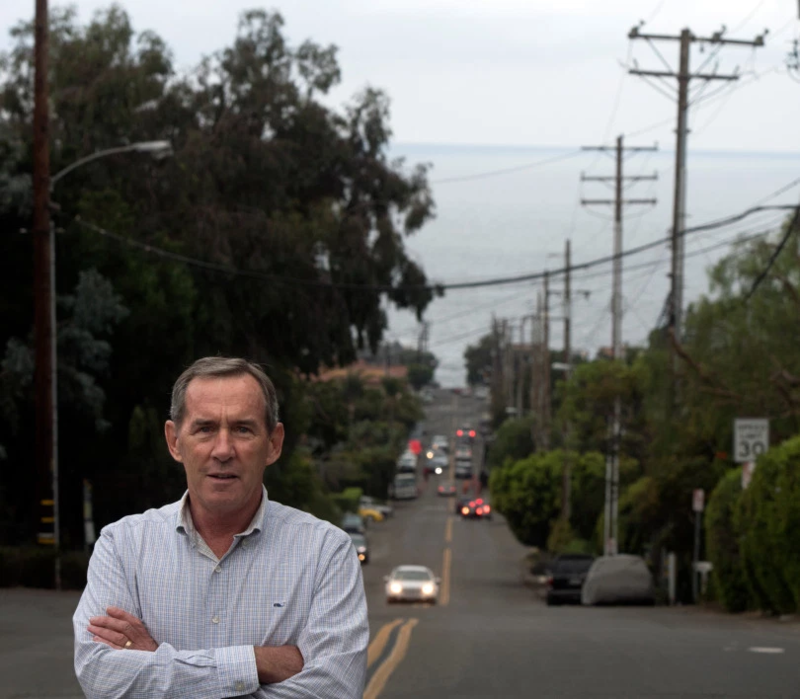 Consequently, with a potential funding source for the city of Laguna Beach for undergrounding electric lines, which materialized after Measure P was put on the November ballot, it may not need to assess a larger sales tax at this time. As the OC Register electronic piece had a photo of Councilman Bob Whalen, I’m including it. In the 2016 version of SB 1463, he was the mover and shaker as the bill’s sponsor and I was the author (a technical correction to the piece) when we presented the bill before various Legislative committees. We were able to get the bill to Gov. Brown’s desk without one vote in opposition, but he then vetoed it. For my position on the 23 city and school district measures on Orange County’s various ballots, go to MOORLACH CAMPAIGN UPDATE — OC Ballot Measures — October 17, 2018). A plan by city officials to make the town safer in the event of a fire or natural disaster by burying power lines under major evacuation routes will go before voters on Nov. 6. A supermajority, or 66.67 percent, is required for the measure to pass. At present, the city’s sales tax is 7.75 percent. If the measure is adopted, the sales tax rate would increase to 8.75 percent.